So far, 2017 is certainly shaping up to be the ‘year of the Royal Navy’. 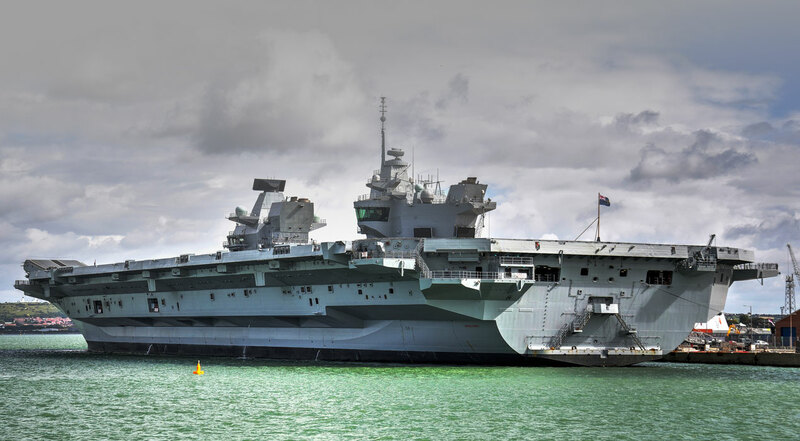 The Navy is riding high after its largest ever warship, the 65,000 tonne HMS Queen Elizabeth aircraft carrier—fresh from sea trials—entered Portsmouth harbour, her new home, for the first time over the summer. The second carrier, HMS Prince of Wales, was officially named in a ceremony at Rosyth in September. This year also saw the long-awaited cutting of steel for HMS Glasgow, the first of eight planned Type 26 City class frigates. On 27 September during a visit to Northern Ireland, Defence Secretary Sir Michael Fallon unveiled HMS Belfast, the second Type-26 frigate to be named, which will provide protection for the UK's nuclear deterrent, Trident, and the new Queen Elizabeth Class aircraft carriers. "This government [is] committed to a strong Royal Navy,” stated Defence Secretary Sir Michael Fallon at the launch of the UK’s National Shipbuilding Strategy in early September, which focuses on "investing billions" in an ambitious procurement programme, including next-generation Dreadnought submarines; the Type 45 destroyers; and a "phalanx of new frigates"—including a flexible and adaptable general purpose light frigate, the Type 31e—as well as the Astute class submarines and five new offshore patrol vessels. The first batch of five Type 31e vessels is expected to be in service by 2023 following a competition that will see shipyards across the UK bid for the programme. BMT Defence Services, Babcock and BAE Systems are believed to be in the running for the ship’s design. First Sea Lord, Admiral Sir Philip Jones was seen on the BMT stand at Defence and Security Equipment International (DSEI) 2017 from the 12–15 September in London, speaking with senior executives. Presumably, he was interested in finding out more about BMT’s VENATOR-110 General Purpose Light Frigate, which is a possible contender for the Type 31e. The Type 31e will focus on patrol and protection roles, allowing the high-end capabilities of the Type 26 frigates and the Type 45 destroyers to focus on maritime task group operations—particularly the Carrier Strike capability—as well as the protection of the Trident nuclear deterrent. But it hasn't all been plain sailing for the Royal Navy. 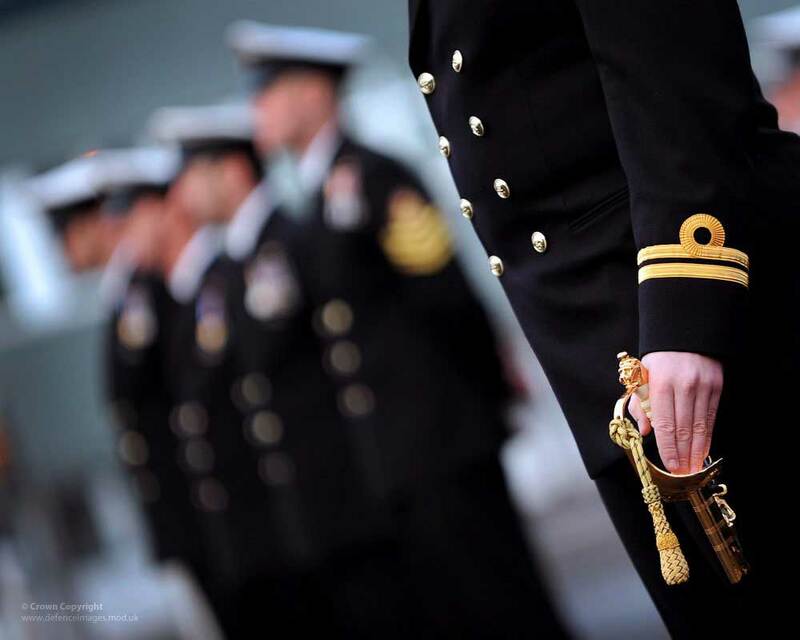 Fallon persists in using the phrase, “growing [the] Royal Navy,” in response to criticism aimed at the Ministry of Defence over the difficulties the Navy has faced in recent years. But it depends how you define ‘growing’. Whilst 2017, so far, has ratcheted up a frenzied pace of shipbuilding activity and major milestones in naval force projection, beyond the political sound bites and ‘ribbon cutting,’ one could argue that the Royal Navy is anything but ‘growing’. “It’s difficult to overestimate the significance of the advent of the new carriers. However, the fleet is now unbalanced and overstretched, and budgetary problems mean that the Navy—and the other services—are being forced to shed areas of capability to protect admittedly impressive core programmes. In the wake of Hurricanes Irma and Maria, international navies are being called upon to deliver relief to the hurricane-damaged Caribbean islands, leading to reports in The Telegraph, that out of 19 frigates and destroyers, only six are available for duty. A key reason the article cites for this is a lack of manpower. The 2010 SDSR announced not only deep cuts to the capabilities of the Armed Forces, but steep reductions in manpower. The Royal Navy had to lose 5,000 personnel, vital to sustaining ships at sea. Despite being allowed to re-recruit a modest number in SDSR 2015, the service is struggling to bring in the specialists it needs at a time when higher salaries for specialist personnel are being offered in the private sector. Arguably, these pressures have been exposed by roles previously undertaken by frigates and destroyers being delegated to Offshore Patrol Vessels (OPVs) such as HMS Mersey, which deployed for 13 months to the Caribbean and the Mediterranean. As one of the Royal Navy vessels on display at DSEI in London, HMS Mersey is a ship largely configured for the protection of the UK’s Exclusive Economic Zone (EEZ), primarily enforcing fishing legislation, not lengthy out of area deployments countering narcotics and illegal migration in places like Nicaragua. But moving to unmanned technology for mine countermeasures and hydrographic survey in two years time is not going to solve the Navy’s personnel problems. It could, in fact, exacerbate them, as there is still a need for people to operate these systems and to analyse the data they produce, which also creates a training burden. Presumably, that is why the Navy is keen to start leveraging the power of artificial intelligence or machine learning to help with the grunt work of crunching sensor information and data.